The last six games between the two teams have taken place at AT&T Park in San Francisco. The D-backs kicked off August by claiming two out of three before beginning September with a series win in the City by the Bay. It’s matchups like these that often determine a team’s playoff future. The D-backs approach their final six games of the regular season with a 90-66 record. Arizona is 12-7 in September after finishing August with a red-hot 19-10 mark. Despite the recent success against the Giants, Gibson realizes that they are a bit different since the rivals last met. The D-backs altered their scheduled rotation prior to Friday’s series opener against the Giants. Left-hander Joe Saunders is slated to start Friday, while Ian Kennedy will take the mound Saturday and Josh Collmenter will close out the weekend on Sunday. Saunders enters his 32nd start of the season with a 12-12 record and solid 3.66 ERA. Giants right-hander Matt Cain has quietly emerged as one of baseball’s most talented starters over the past few seasons. In 2011, he owns a 12-10 mark with a sharp 2.86 ERA through 32 starts. Cain has struck out 173 batters in 214.1 innings pitched. 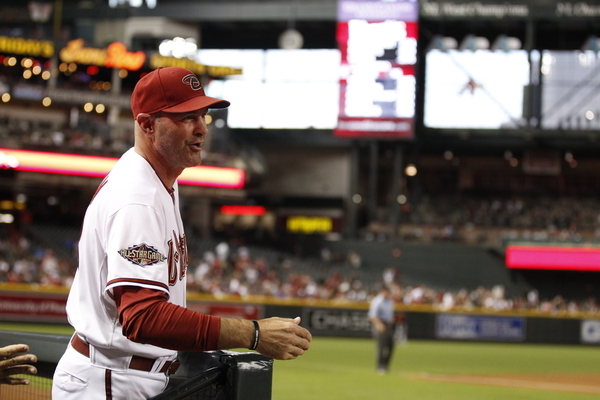 For the D-backs, it won’t be easy stepping into the batter’s box. “We’ve seen him a fair amount of the years,” Gibson said. “The guy is one heck of a competitor. You never know what you’re going to get. It’s not going to be anything easy. We’re going to have to play a good game to stay even with them and capitalize on any mistakes that he or they may make.